King of Poland from 1102 to 1139. 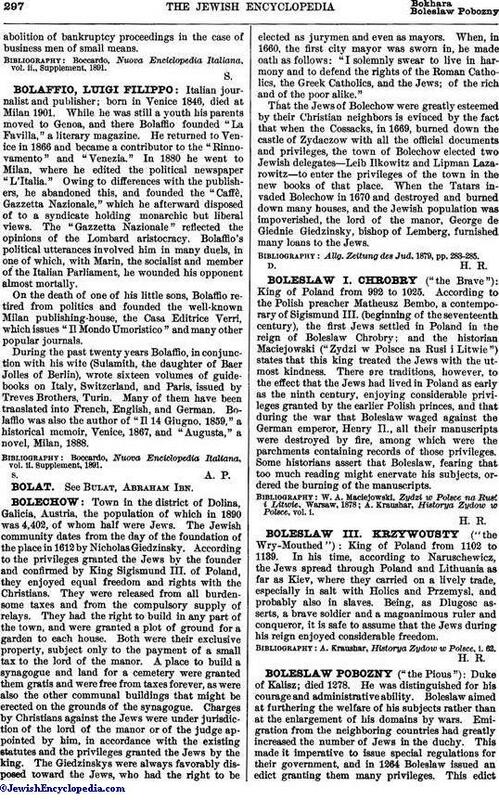 In his time, according to Naruschewicz, the Jews spread through Poland and Lithuania as far as Kiev, where they carried on a lively trade, especially in salt with Holics and Przemysl, and probably also in slaves. Being, as Dlugosc asserts, a brave soldier and a magnanimous ruler and conqueror, it is safe to assume that the Jews during his reign enjoyed considerable freedom. A. Kraushar, Historya Zydow w Polsce, i. 62.